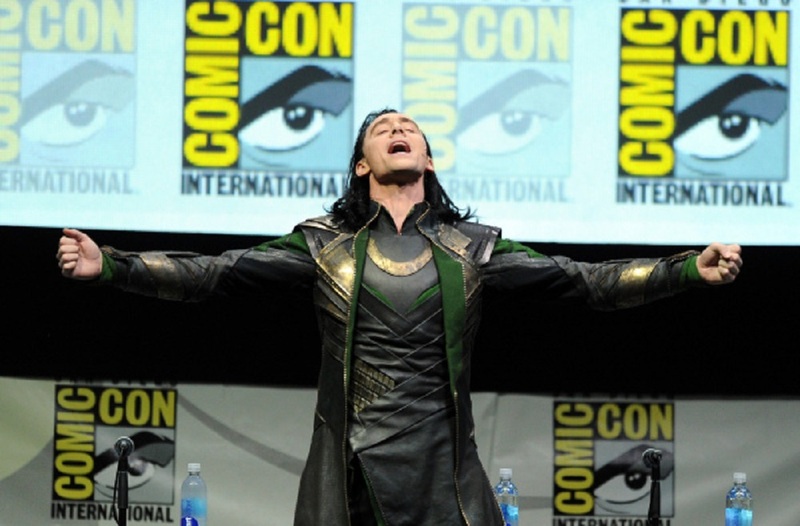 If there was one comic book convention that you have to visit to boost your nerd street cred, then that’s easily San Diego Comic-Con or SDCC, for short. Most people will comment how crowded this convention is and how difficult it is to obtain tickets to the show. But what most people don’t understand is the commitment that countless nerds go through each year to ensure they walk the convention floor or sit in the elusive Hall H. I’m going to give a short run down on my journey back to SDCC 2015 after a year away, caring for my nerd-in-training baby boy, Aiden. 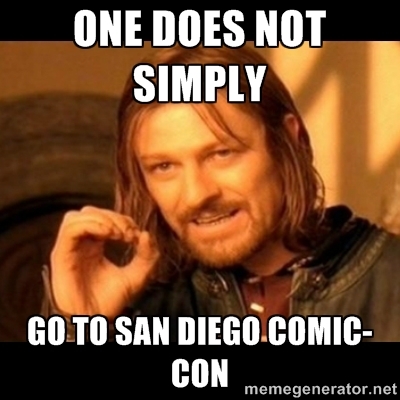 As a fan of this convention, there’s sort of an insanity that comes with trying to go to the show every year. If you were lucky enough to go to the show the previous year, SDCC started a Pre-Registration period where those guests can attempt to get badges for the following year. The caveat is you are required to keep last year’s badge and input your unique ID into the system. This is the first chance guests have to get the 4-day plus Preview Night badges that almost always sells out first. Now, the entire stock of tickets aren’t sold during this period because they need to allocate supply for the Open Registration period which allows anyone try for badges as well as both the Creative and Trade Professional registration periods. Both Pre-Registration and Open Registration is handled by Epic which randomizes everyone present in the waiting room and then allows groups of guests to purchase their badges. I’ve had friends participate in both registration periods and some never get a chance to purchase their badges. It’s the luck of the draw, or random generator. In years past, the speed of which you submitted your form would determine if you would be awarded badges or not. The randomization process makes it fair for first time guests to score the Holy Grail chance to attend. After both Pre-Registration and Open, Creative and Trade Professionals are able to get their badges for the show. Creative Professionals get a complimentary badge for themselves and this year, complimentary guest badges weren’t guaranteed for all professionals. The supply ran out pretty quickly. As for Trade Professionals, their badges aren’t complimentary but in my opinion, one of the easiest registration processes to date. It took me less than 5 minutes to purchase a 4-day badge with Preview Night for myself and a coworker. You would think that after getting badges for the convention, you would be able to sit pretty and coast until July. But another registration period was born out of the craziness that is SDCC: Hotelpocalypse. Yup, you guessed it, Hotel Registration. Now, if you prefer not to stay in the downtown area closest to the convention center, then Hotelpocalypse isn’t a concern for you because there are numerous options near the airport or surrounding areas that you can either take the trolley to the convention or rent a car. But for those trying to get the coveted Hilton, Marriott Marquis, or Hard Rock hotels which are across the street from the convention center, then this registration period is as nerve racking as the previous registration periods. I’ve participated in this registration every year I attended SDCC and have come to learn that speed is key. On average, if you submit your request form within 5 minutes, then you have a shot of staying within walking distance. During the 2015 hotel registration, the downtown hotels sold out in 15 minutes. That’s scary fast! I typically employ the group effort of trying to get hotel rooms in the hopes one of us will score rooms for everyone in our group. I submitted my form in 3 minutes while my group mates submitted at 5 minutes and 8 minutes. But another key for us is we make sure our first choice hotel isn’t the hotels closest to the convention center. We’re pretty satisfied at the hotel my group has used for a few years now. But that’s not to say we’re guaranteed our top picks or even any of our 6 top choices. This year, the closest hotel that my group was able to secure is 1 mile from the convention center. This year’s registration had a lot of issues plaguing including one I encountered where the page didn’t load until well after 30 seconds which probably affected the hotel I actually was given. It’s hard to be too frustrated about the whole thing because that’s just how this convention is; one of the most sought after conventions to attend. And it comes with many hoops to jump through. Now, you may be asking yourself, why go through all this hassle? The process is idiotic, believe me, but in a way, it’s almost survival of the fittest. I hate to use that analogy but SDCC is a show that I always want to attend and I make sure that I’m set up to make that happen, may it be coordinating group registration strategies or finding friends that happen to be Creative Professionals to assist in our efforts. This show isn’t just a comic book convention to me. It’s my nerd Mecca. And from the 5 years I’ve attended, I’ve walked away with memories to fill 3 photo books, countless comics and swag, and some pretty awesome times talking nerd stuff with both old and new friends. And now that my family is growing, I’m eager to share these experiences with my son. It’ll be his first SDCC and as a convention goer all these years, cosplay is one nerd merit badge that I’ve never attempted. Now my son is here, it’s time for some quality dad-son cosplaying! Even though all the registration periods sound more trouble than it’s worth, I swear that SDCC has the best host city for a convention and watching the sunset from the waterfront or as you sit in line for Hall H, is tough to compare with. If you want more insight into conventions, Gene wrote a pretty nifty guide about buying comics at comic conventions that you can check out here. The Shortboxed crew is trying hard to visit SDCC as a group so as the convention gets closer, we’ll have more info on some cool stuff we’ve been planning. Hope to see you all in San Diego real soon! If this is your first time visiting Shortboxed, thanks for stopping by! We want to provide a place online where people new to comics can come and learn about the culture and be introduced to some amazing stories without feeling overwhelmed or intimidated. We’re always adding new content, so please come back soon! You can also follow us on Twitter, Instagram and Tumblr at @shortboxed. Join our newsletter to get weekly updates!